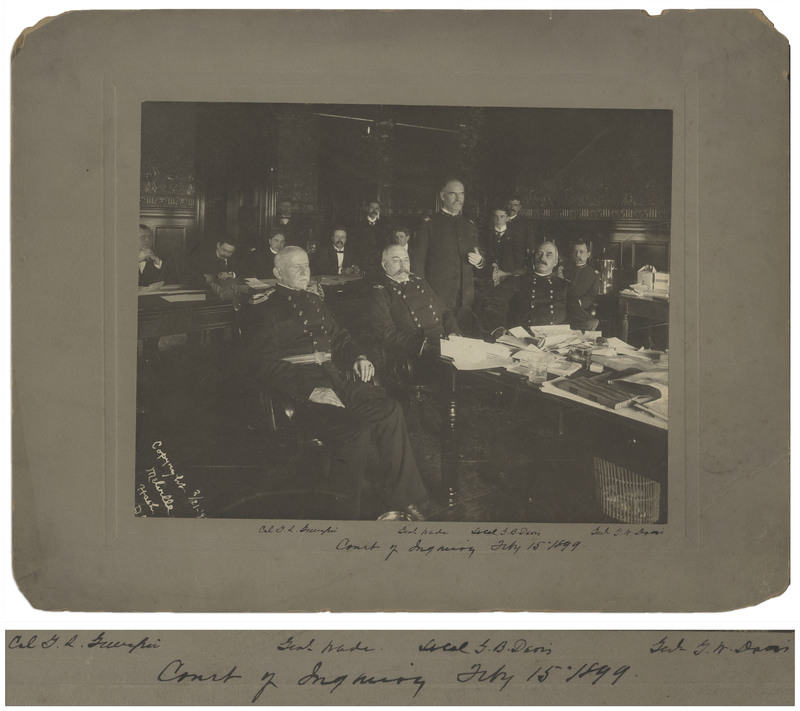 Large silver gelatin photo measuring 9.5'' x 7.5'', documenting the Court of Inquiry held on 15 February 1899 regarding the ''Embalmed Beef'' scandal of the Spanish-American War. Convened by President William McKinley, the Court investigated claims that putrid ''embalmed'' meat from Chicago was being fed to soldiers in Cuba during the War, leading to thousands of deaths among the ranks. The fallout of the scandal was the court martial of Commissary General Charles Eagan and the resignation of War Secretary Russell Alger. It also turned public opinion against the Chicago meat industry, which, coupled with Upton Sinclair's ''The Jungle'' in 1904, led to passage of the Pure Food and Drug Act of 1906. 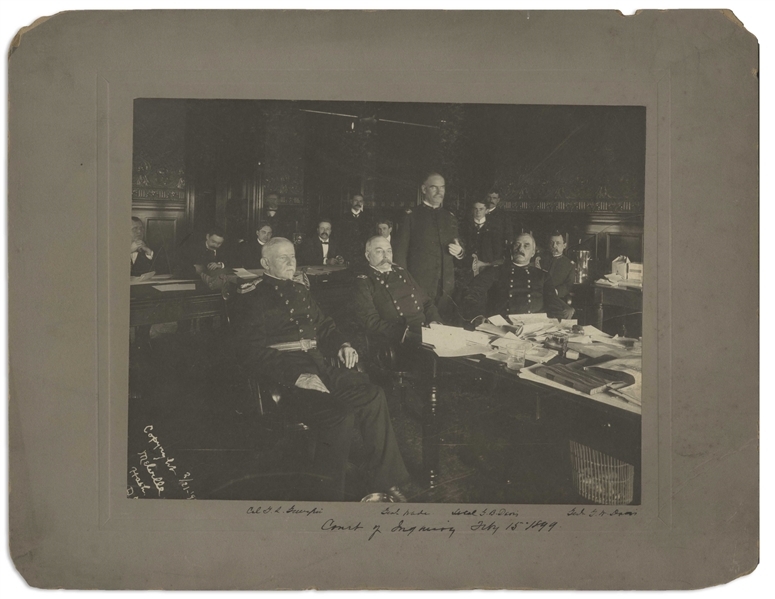 Photo shows the men who made up the Court of Inquiry: General James Wade, famous for his command of African-American regiments during the Civil War and on the American frontier after the war; General George Whitefield Davis, the first military governor of Puerto Rico and the first governor of the Panama Canal Zone; Medal of Honor recipient Colonel George L. Gillespie; and Lt. Colonel George B. Davis. 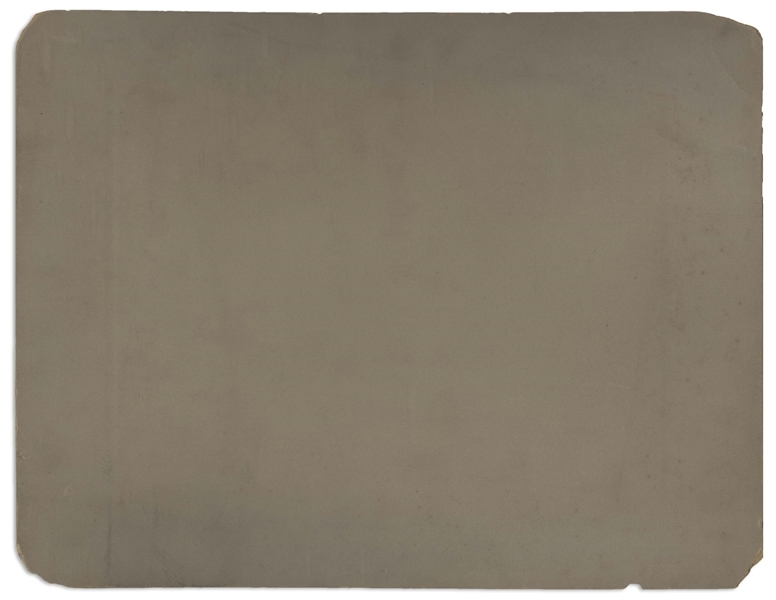 Photo measuring 9.5'' x 7.5'' is mounted to 14'' x 11'' board. Some light soiling and chipping to edges of board, very good condition. Photo shows excellent quality and contrast, in near fine condition.